Happy Easter! 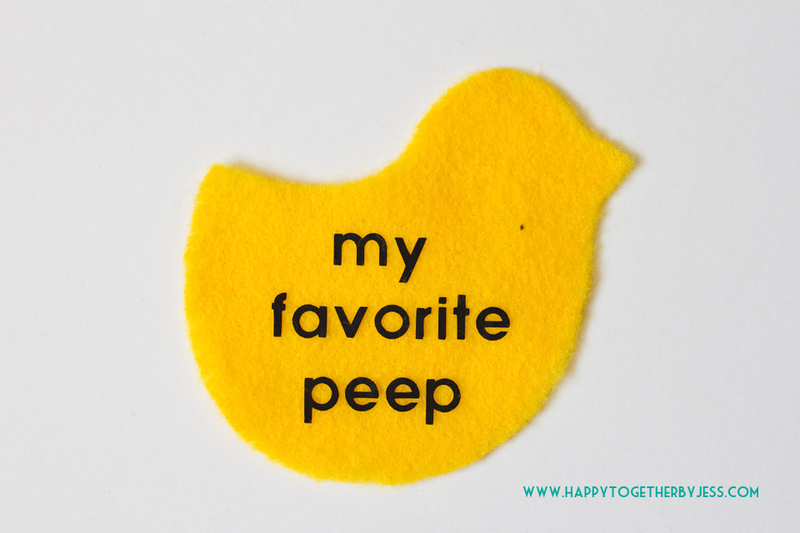 Today was a full day for us and it began bright and early when my youngest discovered her Easter basket in my room. I had totally meant to hide it and give it to them later in the day, but that didn’t happen. They quickly went through their baskets to see what they had gotten. 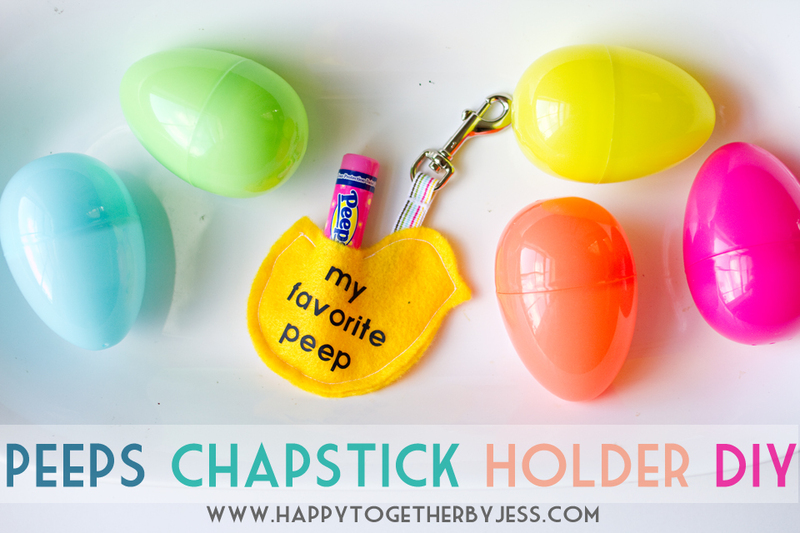 I like to keep their gifts simple, but I did make a special little chapstick holder to go in miss J’s basket. 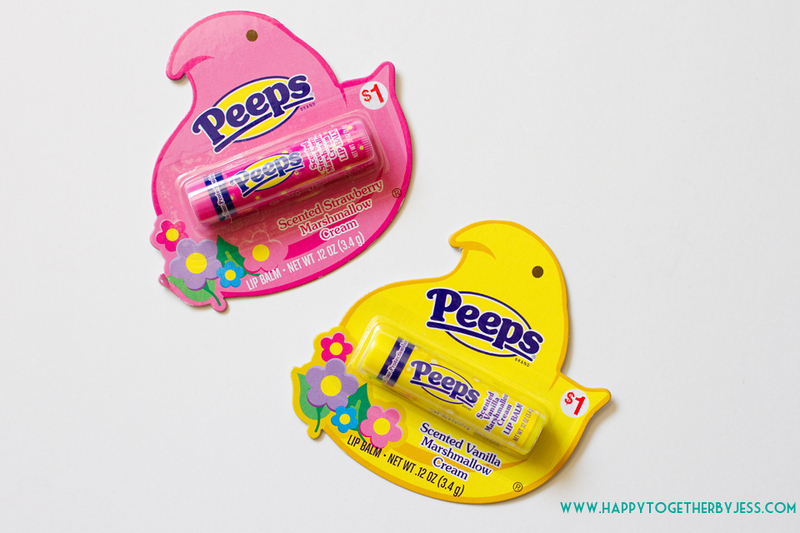 I found these cute peeps chapsticks in the dollar bin at Target and got to thinking of making a holder for them to go in. I decided to use this as an opportunity to try cutting felt and iron on vinyl with my Cricut Explore. It went very well. 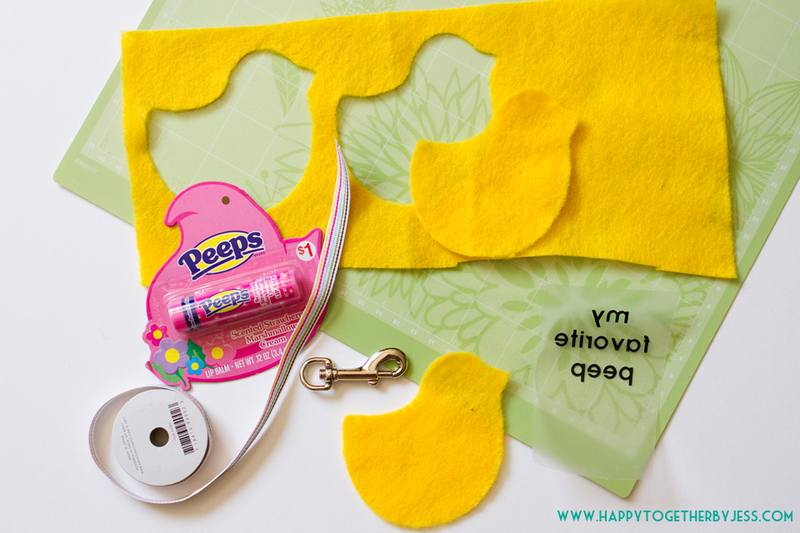 Start by cutting out two peep shapes from felt. I did a search in the Design Space and found this shape. I enlarged it until is was a width of 3.49″ and height of 3.4″. I could have simply cut this out myself, but I really wanted to see how the machine would do. I didn’t see the specific settings for felt, so I did a quick look at some of the ready to make projects in Design Space. I found one that used felt and changed my settings. Unfortunately, I didn’t have the proper mat (the strong grip), but it worked on my standard grip one. The felt did pop off the mat a little bit at one point, but the machine stopped for a bit as if to correct itself. I quickly pushed down the part that popped up and it kept cutting fine. I did read a tip that suggests if the felt does pop off like that to then tape the edges down. Then you will need to cut the words out of the iron on vinyl. I used the font Nate’s ABC’s and it was size 39.68. 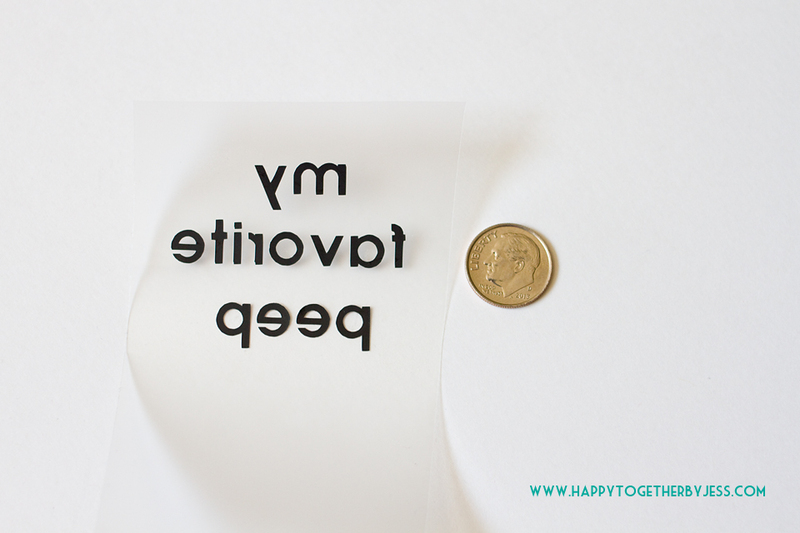 Look at how tiny the letters the are! They cut out perfectly. Iron on your words according to the instructions. Fold a piece of ribbon through the key chain. I made mine a little on the longer side to be able to trim it. 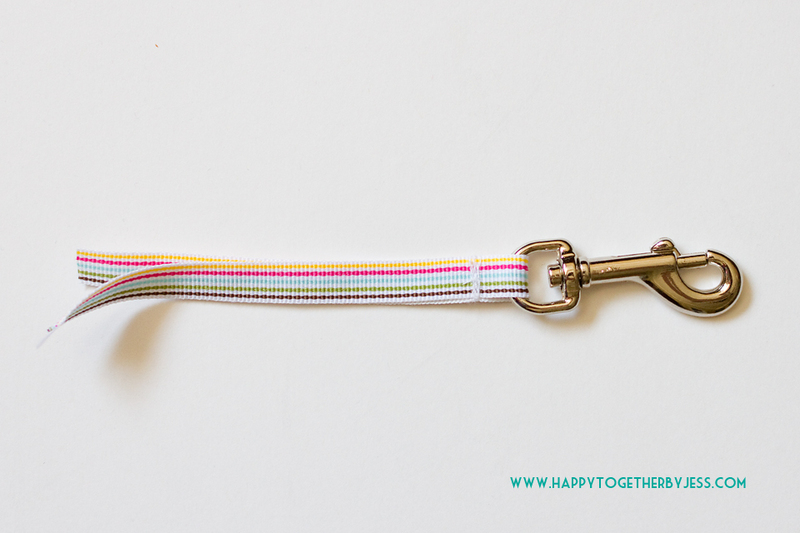 Sew (or glue) the ribbon together a little below the key chain. 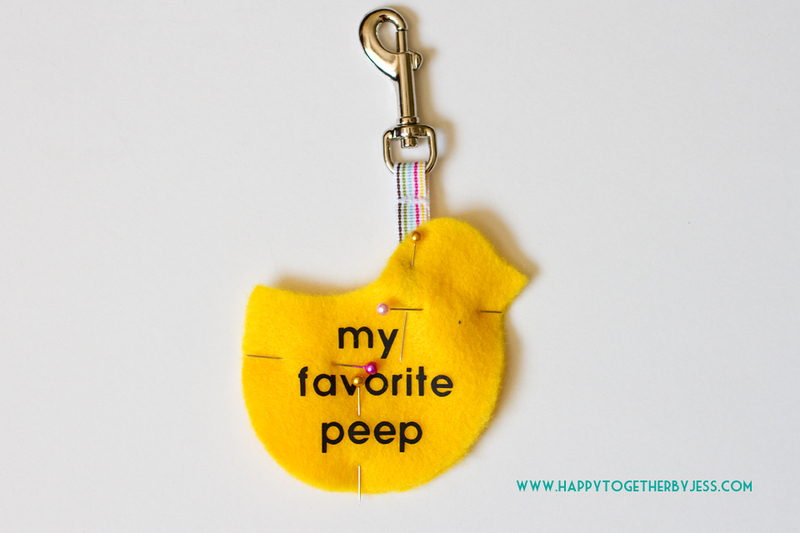 See where you want to put the ribbon inside the peep and trim the ribbon accordingly. Pin the felt pieces with the ribbon in the middle. 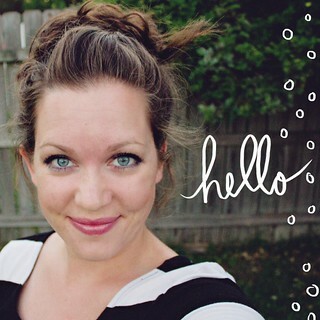 Sew (or glue) around the edges and leave an opening at the top of the body for the chapstick to go into. And that is it. You could do this with all kinds of shapes and wordings. It would be a good older kid project too and could be personalized to their taste. 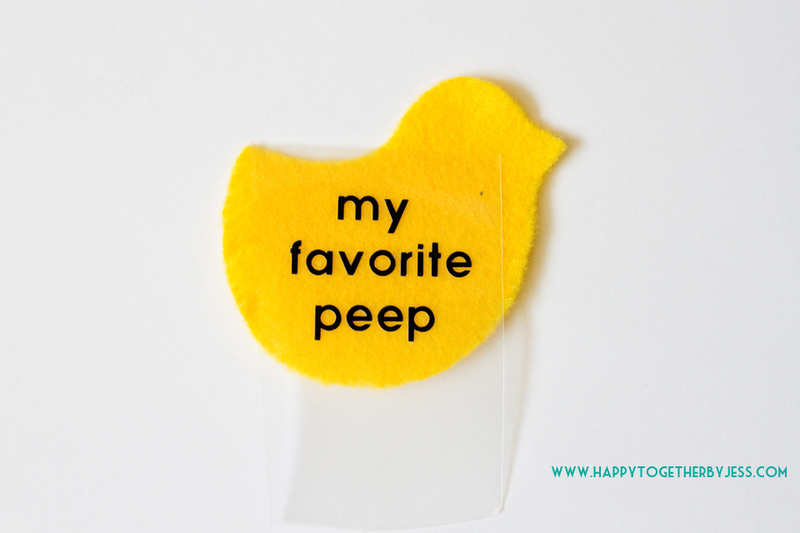 My little favorite peep (miss J) likes hers and wants to make one herself now. I will let you know how that goes (if it goes at all lol).